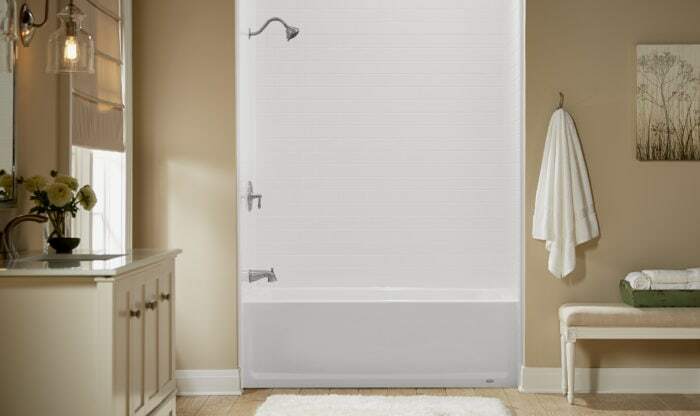 DaBella bath and shower replacements can easily reinvent one of the most important rooms in your house. Your bathroom is where you get ready or unwind from your day. As a home improvement leader, DaBella specializes in bath and walk-in tub conversions. For those who need it, we offer many safety features to increase bathing independence. DaBella is the trusted expert to customize the wet area of your bathroom to fit your needs. By partnering with one of the industry’s fastest growing acrylic manufacturers in BathWraps, DaBella offers Vancouver, WA homeowners with a wide selection of options that will transform one of their most important rooms in as little as a day. Your time is important to you and we understand that. Our bathroom products are low maintenance, it’s as easy as spraying with an approved household cleaning product and wiping it off. The silver ions infused into the system will prevent bacteria from growing, meaning you’ll be able to spend more time enjoying the product rather than cleaning it. Chris has been with DaBella since 2015 and in the home improvement industry for over 6 Years. As the General Manager of the Vancouver, Washington branch, he loves seeing homeowners smile after they see the transformation to their house. When Chris isn’t in the office, you’ll find him spending time with friends and family or out listening to live music. Something that not many know about Chris is that he’s a big chicken wing enthusiast, especially lemon pepper being his favorite. We were very happy with our new shower. The staff were courteous and professional. The shower was put together perfectly and installed with the same perfection. The contractor was dedicated and remained until the shower was just right. Pleased with how prepared he was to go over all the options with us, making sure we knew exactly what we wanted.